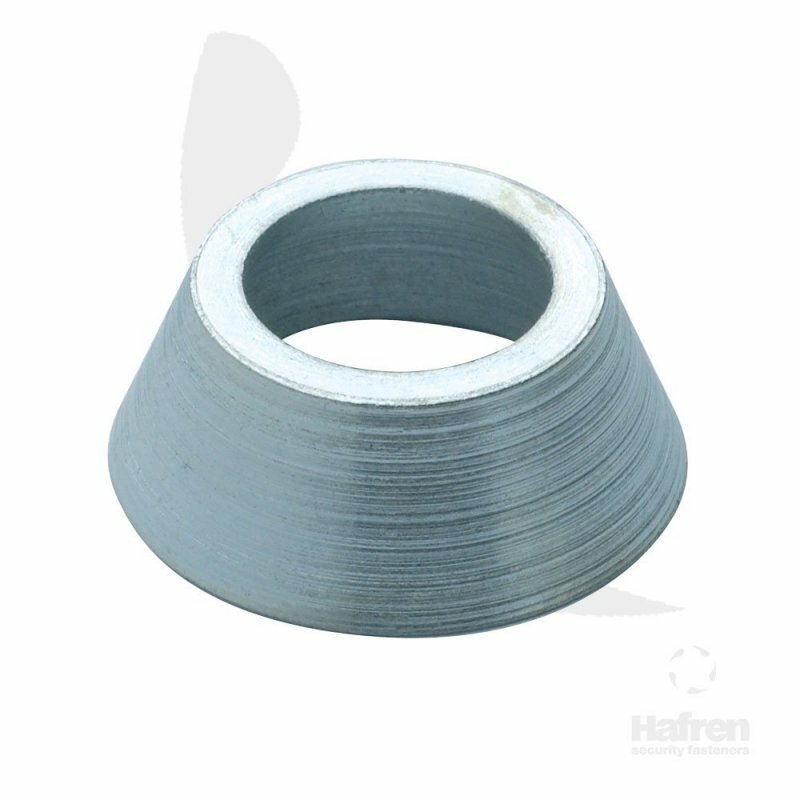 Zinc Plated Case Hardened Steel (CR-3) Armour Ring. A simple conical collar which renders a standard hexagon nut or bolt tamper resistant. The Armour Ring can be applied to any British or DIN standard hexagon nuts or bolts using a standard hammer or Armour Ring installation tool. It leaves a smooth clean finish which is often favoured by Health & Safety executives and isn't governed by a torque level like some one-way fasteners. The Armour Ring can be applied to any British or DIN standard hexagon nuts or bolts using a standard hammer or Armour Ring installation tool. It leaves a smooth clean finish which is often favoured by Health & Safety executives and isn't governed by a torque level like some one-way fasteners.